For sale in our forthcoming auction in Paris, on 8 february 2019. 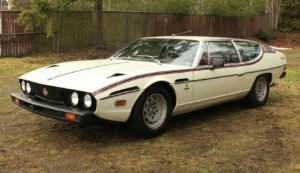 The series 1 Espada's design derived from the spectacular Lamborghini Marzal from which it kept the octagonal instruments and the "designed" interior. Such features disappeared with the 2nd series which has a more traditional appearance. The first 50 first series examples produced were equipped iron bars covering the rear window above the tail-lights on the boot. 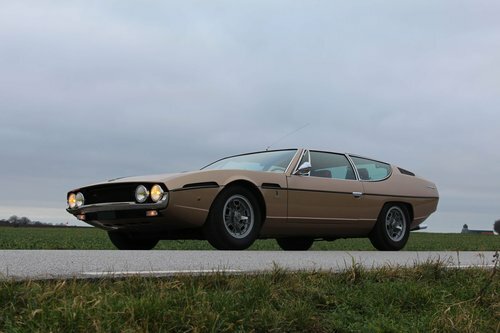 This Lamborghini Espada Series 1, chassis number 7120, was the 42nd Espada that left the factory in Sant'Agata Bolognese. Champagne with "testa di moro" interior, it was delivered new to Rome where it spent most of its early days. 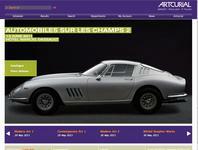 It was bought almost thirty years ago by the current owner, an important Lamborghini collector. The car was brought to Sweden, where it was mechanically refurbished and received a bare-metal respray in metallic champagne. About ten years ago the engine and gearbox received an overhaul, as well as springs and the Koni shock absorbers. 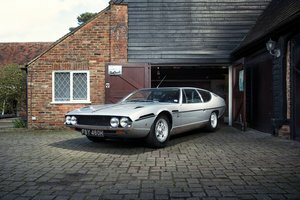 Being not only a sought after series 1 Espada but one of the most desirable 50 first cars, which has been so thoroughly tested and driven over the years it is a must have for the serious collector; someone who admires it from an aesthetic viewpoint but who also enjoys from behind the steering wheel. 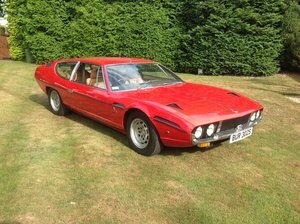 1974 Lamborghini Espada S3 - RHD Car - Red With Cream!